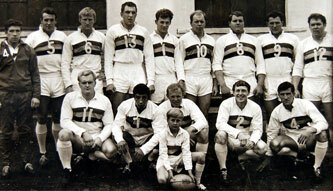 Welcome to the Rugby League Heritage Project website. 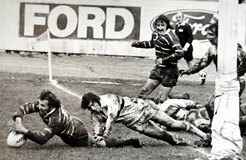 Our mission is the sourcing, collecting, copying, cataloguing, preserving, archiving and then - through this unique website - the publishing of more historical information about the global community of rugby league football, and its heritage, than could ever be found in any single physical location anywhere on the planet. We are deeply indebted to the UK's Heritage Lottery Fund, without whose support this Rugby League Heritage Lottery Project would not have been feasible. 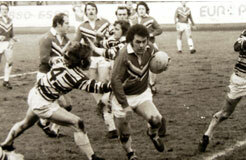 A sample of our photographic archive is now on-line. Images are available to view in both low and high resolution formats. Have an interesting story about a picture? Recognise someone in a picture? or just want to chat about the images? The Rugby League Heritage Project funded by the Heritage Lottery Fund has been designed to bring all sections of the community together to learn about, understand and enjoy the heritage of Bradford Northern, Bradford Bulls, Rugby League and Grattan Stadium. 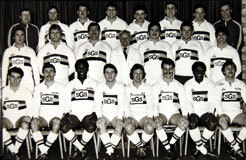 Bradford Bulls has a long history of working alongside schools and local communities. The Rugby League Heritage Project intends to build upon the good work already done by providing 'curriculum days' for school visits. Here is your chance to really make this project a success. As a volunteer you can be involved in this truly amazing project and develop a deeper appreciation of the history of rugby league, whilst have a lot of fun.